At Guildford Smiles Dentistry, we're dedicated to keeping your family's smiles strong, healthy and bright. Dreaming of a straighter, more even smile? Invisalign clear, custom aligners help you achieve it – all without anyone knowing. We offer a complete range of dental services for Surrey families, from general exams and cleanings, to cosmetic treatments, sedation dentistry, and more. With our gentle approach to children''s dental treatment, we're here to help your kids establish a foundation for a lifetime of healthy smiles. Quality Dental Care In Surrey, BC. Dr. Salman and her team at Guildford Smiles Dentistry provide Surrey families with a complete range of dental services, state-of-the-art dental technology, and a friendly, compassionate chairside manner. Our dental technology will make your appointment go as smoothly as possible. Nervous about your appointment? We can help with comprehensive dental sedation options. Looking for a dentist in Surrey? We look forward to welcoming your family into ours! Comprehensive Family Dentistry in Surrey, BC. At Guildford Smiles Dentistry, our dentists Dr. Asmaa Seddik and Dr. Marwa Salman offer family dentistry for patients of all ages. Tips & Advice For Your Oral Health. Which type of electric toothbrush should I purchase? 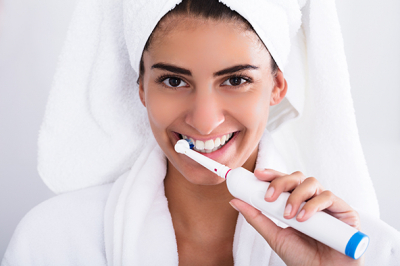 The type of electric toothbrush you choose is mainly down to personal preference, but there are a couple of features most dentists recommend to their patients. Dental sedation is not usually offered for regular dental cleanings or checkups but we may be able to offer it for patients with extreme anxiety. What happens after my Invisalign treatment is complete? As you near the end of your Invisalign treatment, chances are that you'll be giving a little thought to what happens next. Here’s a little about what to expect once your treatment is complete.